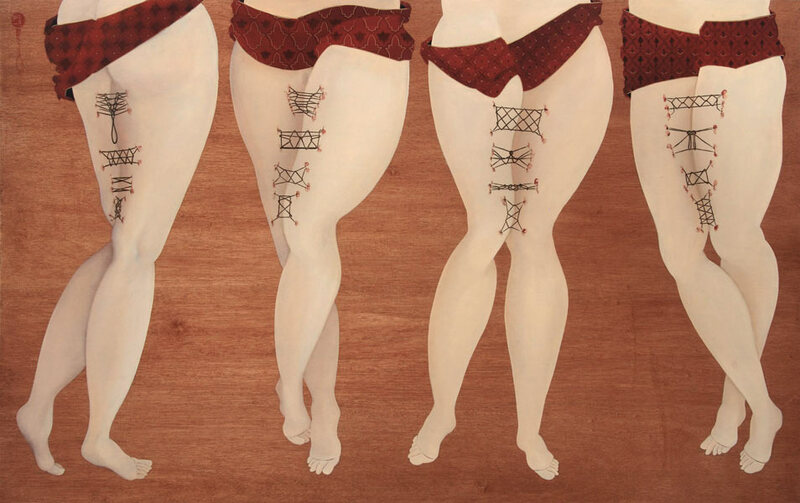 Angela Carter once told us that “Just because we’re sisters under our skin doesn’t mean we’ve got much in common.” But skin itself and the struggles that women inflict on themselves to maintain its attractiveness can be powerful. 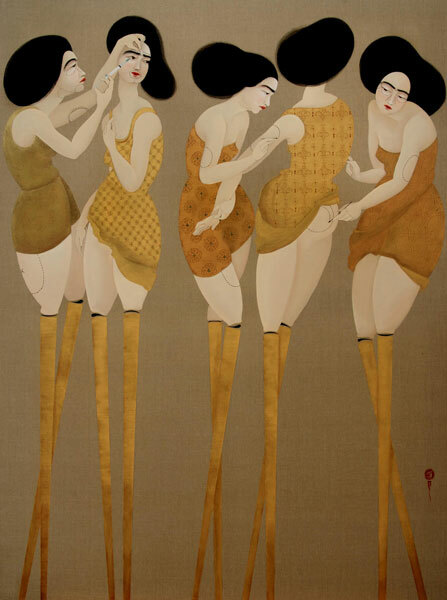 Definitions of beauty vary among cultures but the pressures women accept to adhere to their society’s standards are a unifying experience. 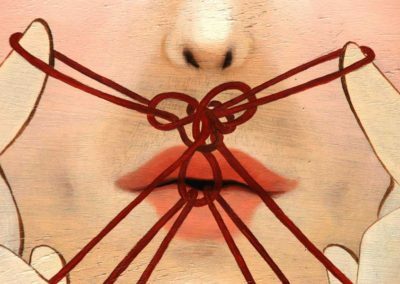 Fretting over superficial concerns can reveal profound truths. 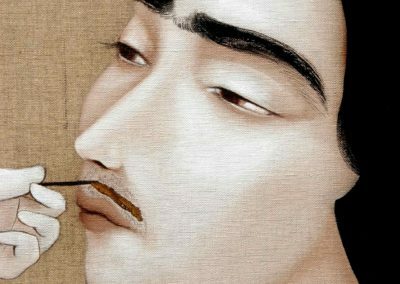 If women throughout the Middle East were given an opportunity to bond over hair-removal, then enemies might come to appreciate their underlying connections. 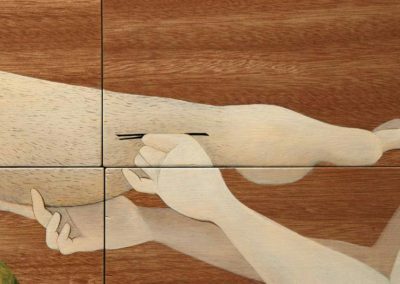 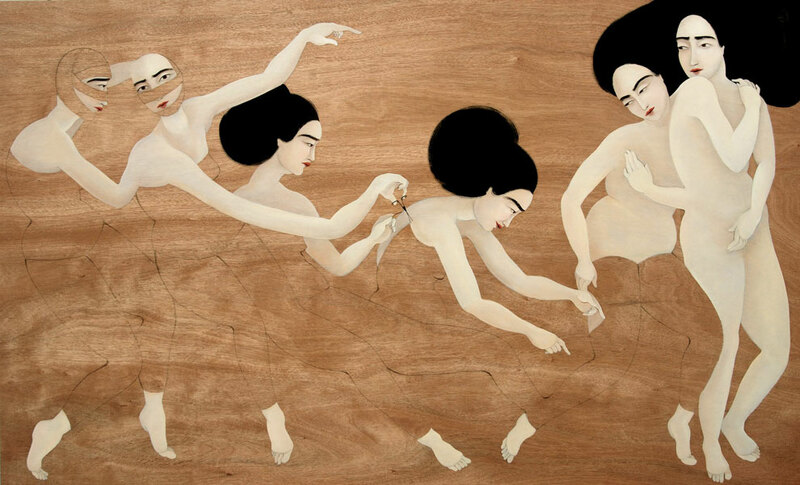 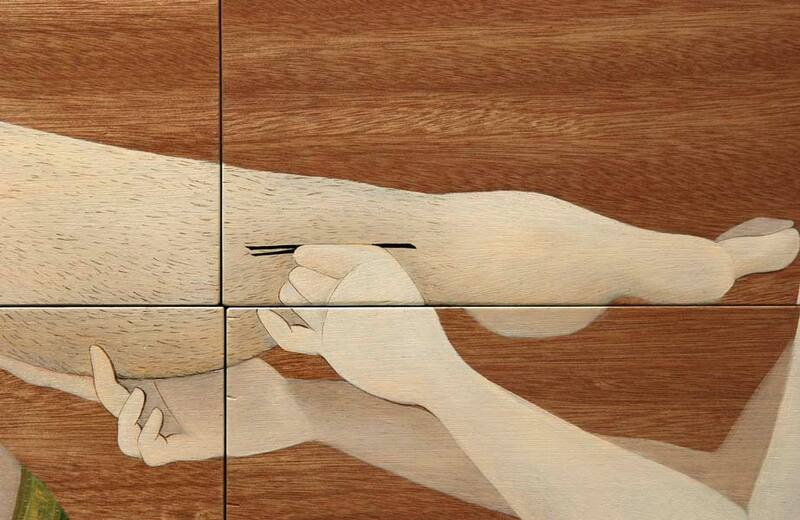 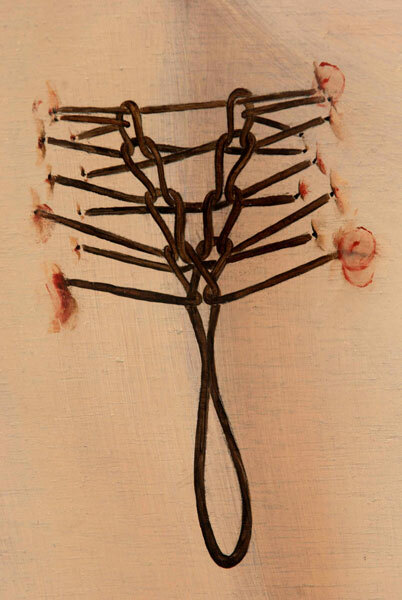 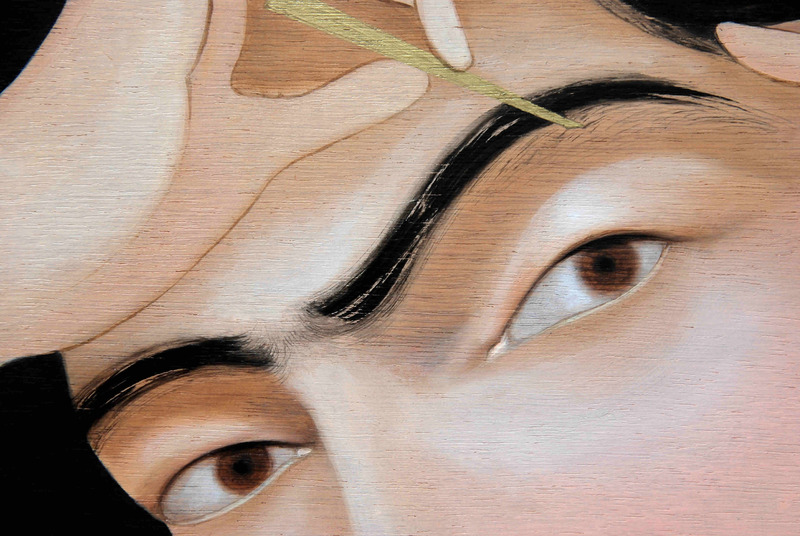 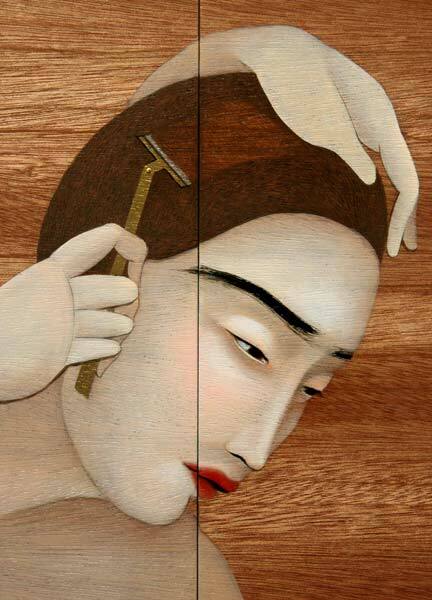 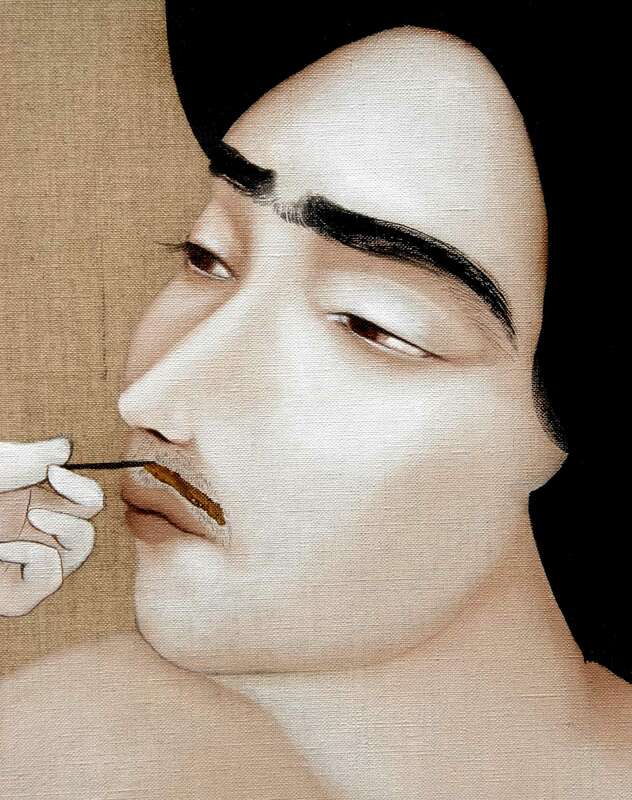 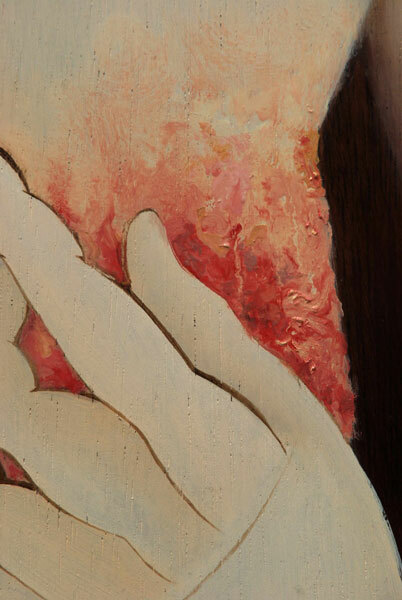 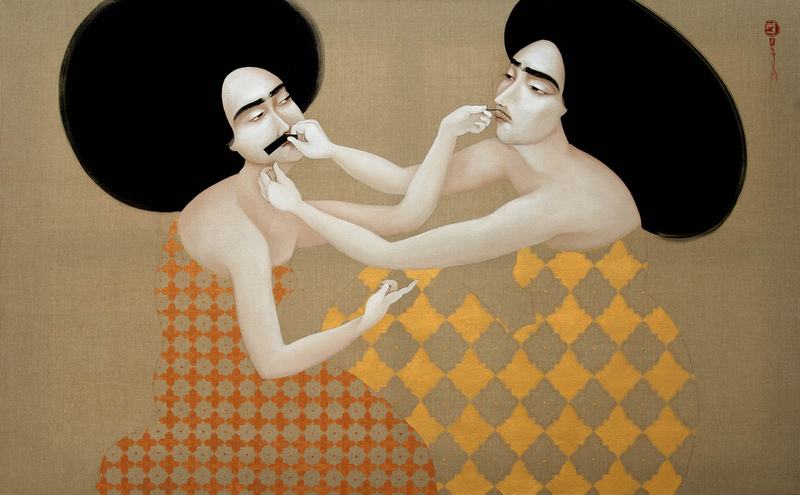 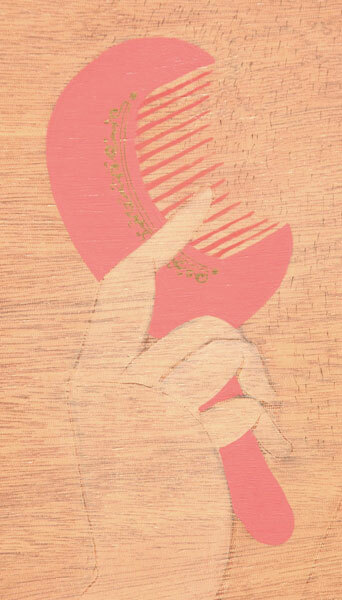 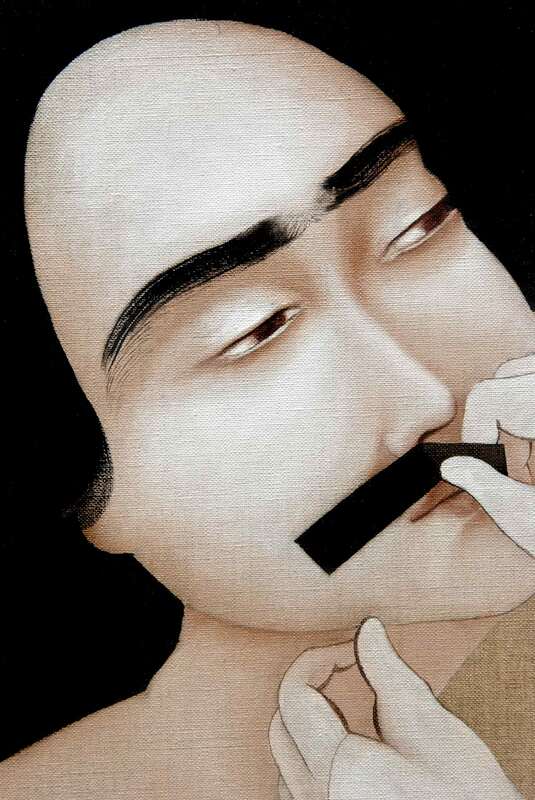 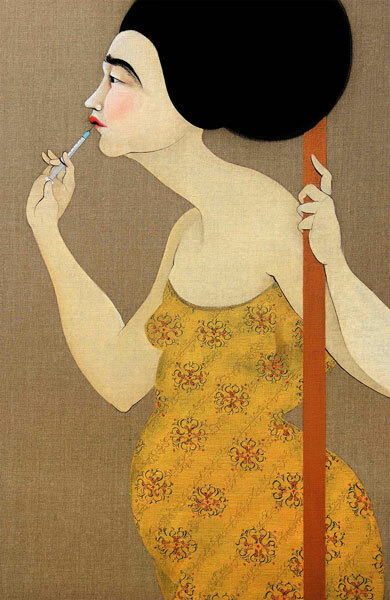 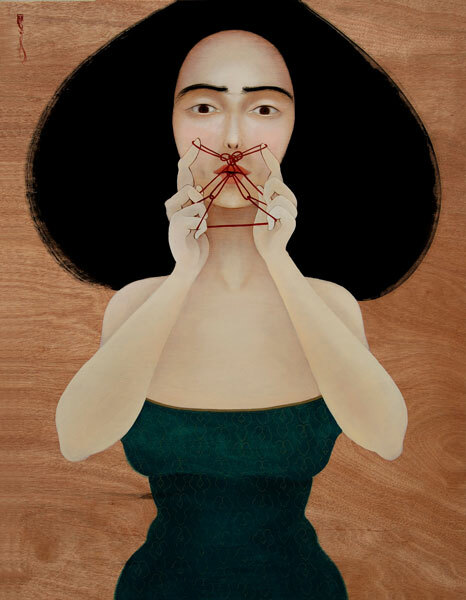 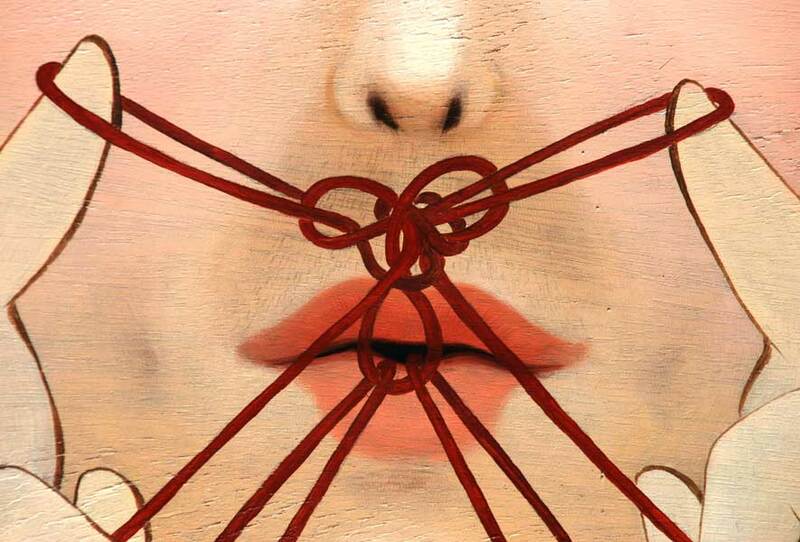 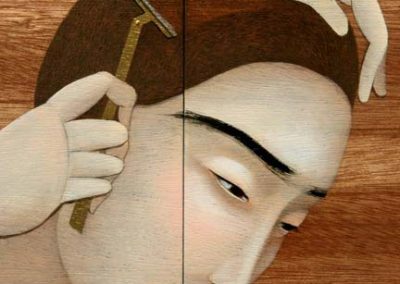 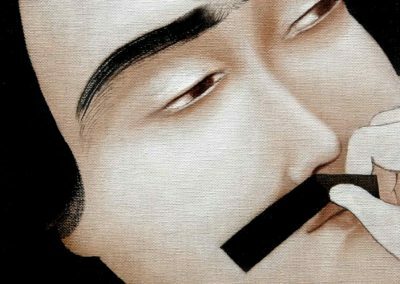 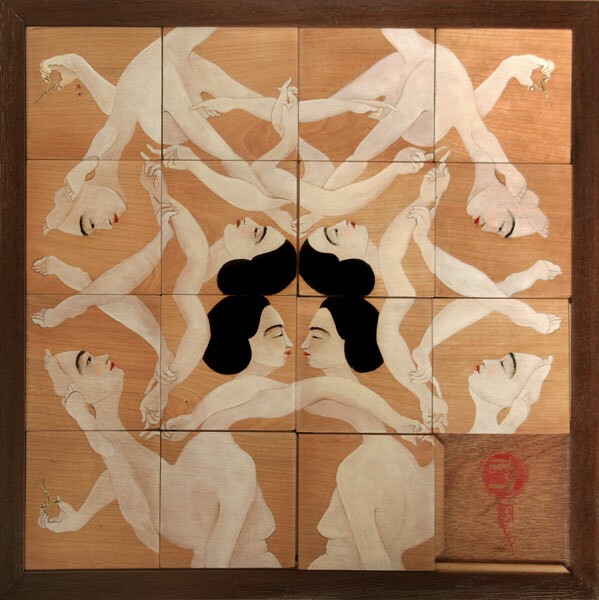 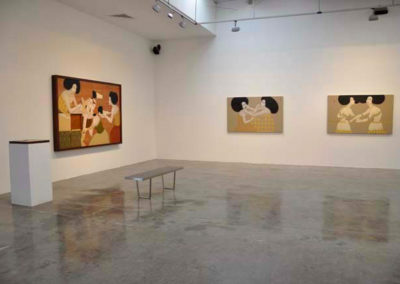 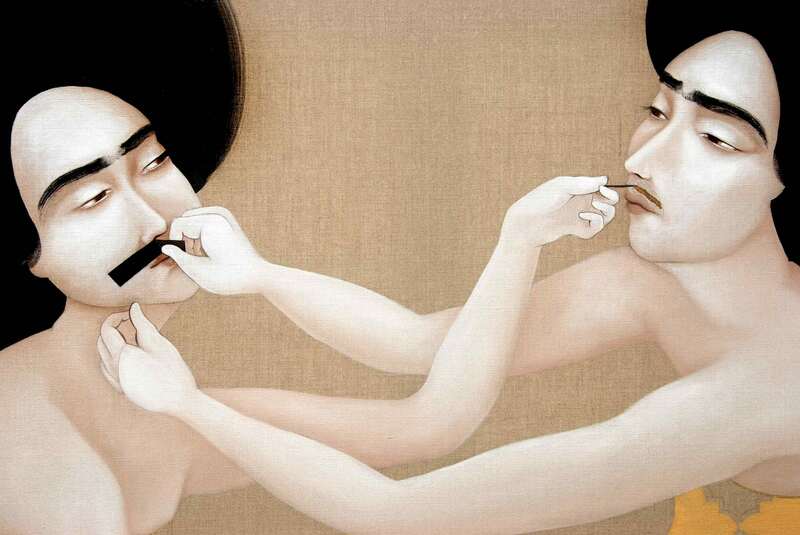 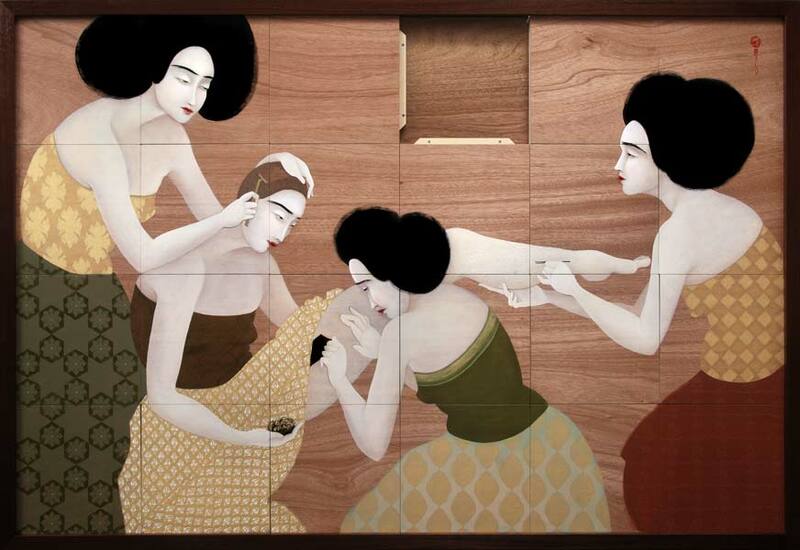 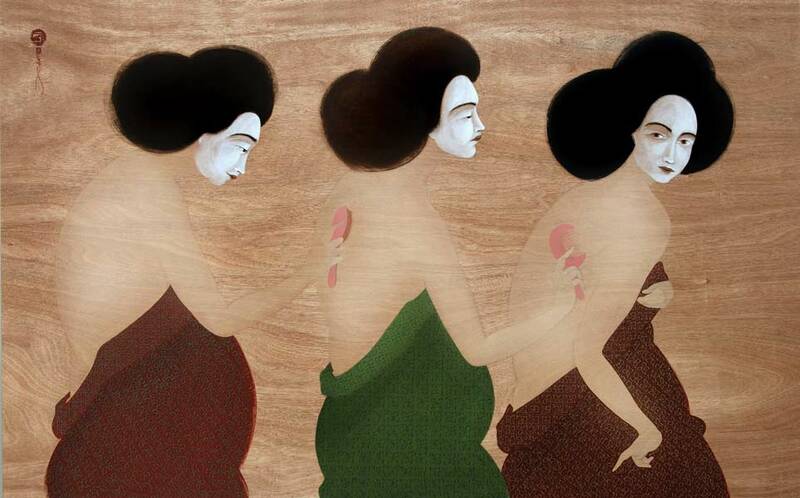 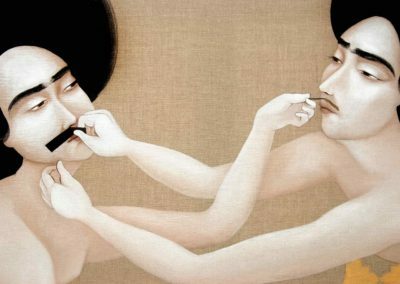 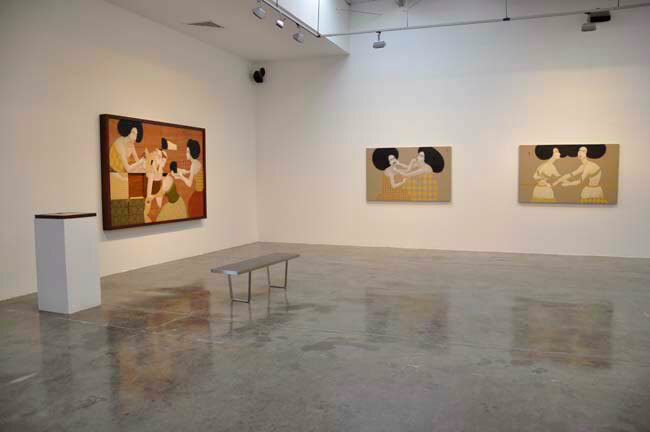 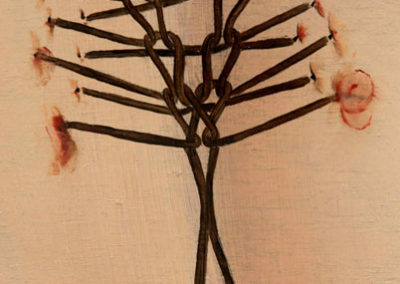 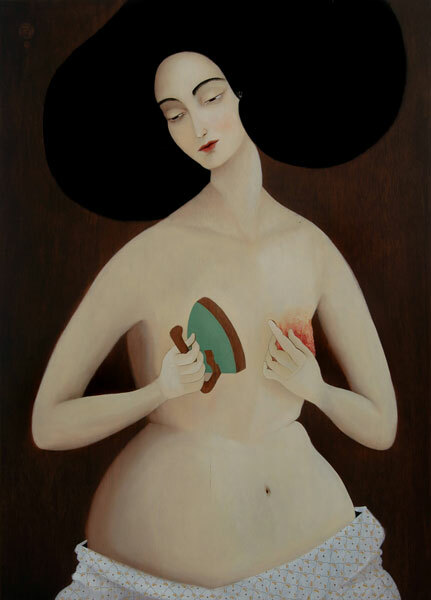 Pins and Needles, Hayv Kahraman’s first solo show with The Third Line, addresses the significance of the “Beauty Myth” in ten mythically charged and beautiful paintings and two sliding puzzle pieces which share the theme of women’s ritualized grooming procedures. 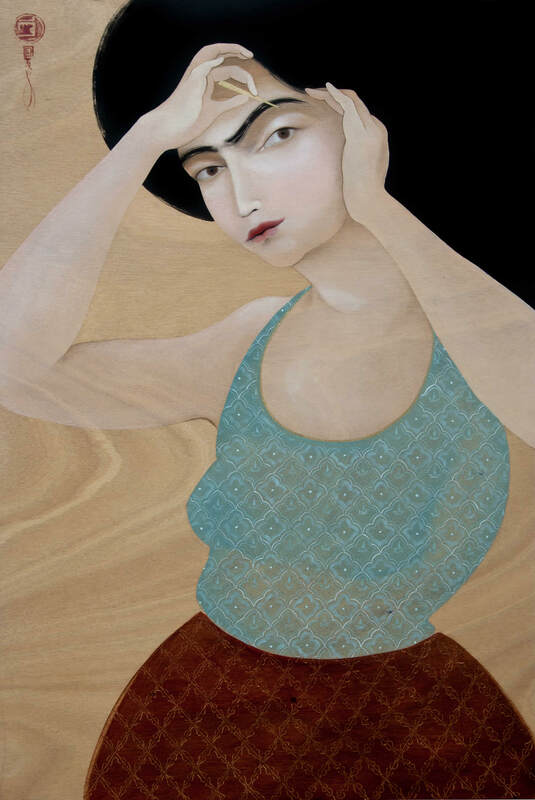 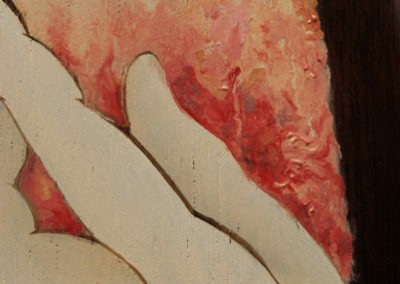 These works employ the Baghdad-born Iraqi artist’s signature stylish surrealism to address women’s internal and communal battles with their own bodies.